An exercise that I never thought that I would try - OSL, e.g. Object Scource Lighting. 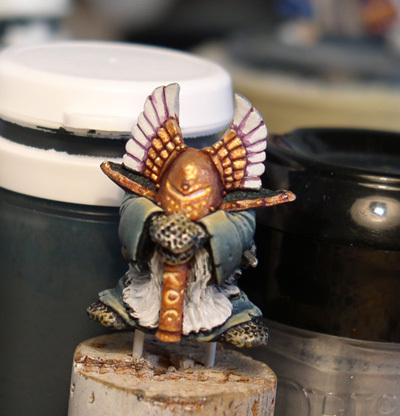 Trying it out on a model that has already been used for practice - a nice little chaos dwarf.